The World Malaria Report 2015 summarizes information received from malaria-endemic countries and other sources, and updates the analyses presented in the 2014 report. 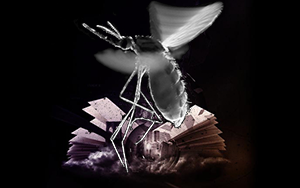 The World Malaria Report is WHO’s flagship malaria publication, released each year in December. It assesses global and regional malaria trends, highlights progress towards global targets, and describes opportunities and challenges in controlling and eliminating the disease. Most of the data presented in this report is for 2014.